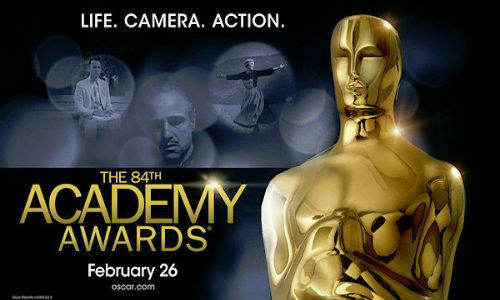 ← Academy Awards 2012 and social media: do Oscars use Twitter? 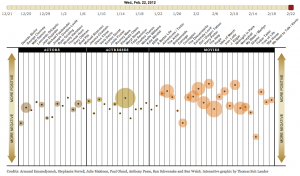 Academy Awards 2012: who won? Actors? Actresses? Movies? No, social media! Ok, I do think Meryl Streep deserved her 2012 Oscar as well all the other folks on the red carpet… as I wrote yesterday there’s another big winner even though it’s not holding an Oscar. Actually, the real winner this year is Social Media. Never before has social buzz meant so much for Hollywood, media, news and movie fans altogether. Need a proof of this? Read these two posts from Forbes and Reuters. Forbes’ Michael Humphrey’s article is titled Oscar 2012: What IBM’s Watson Knows That Hollywood Doesn’t and tells us how IBM’s supercomputing power has been used to parse million of tweets and uncover the People’s Oscar and better understand movie fans opinions out of the tweet-jam. IBM is developing a new tool that leverages social media buzz to help journalists tell a new kind of story and Hollywood to better connect with its audience. The algorithm can’t predict Oscar outcomes, at least not yet, but it can help Hollywood understand earlier what will and won’t work when its movies come out. 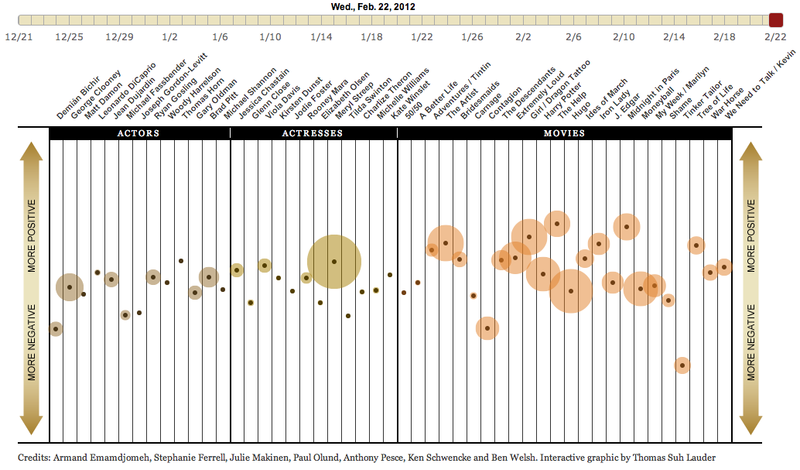 And it can demonstrate, with far greater reach, how disconnected the Oscars are from the average movie-lover. The end product for now is the Oscar Senti-meter, a collaboration of IBM, University of Southern California Annenberg Innovation Lab and the Los Angeles Times. The Senti-meter has been analyzing millions of tweets since the nominations were announced, creating an aggregated voice of the people about the nominees. It turns out the Hollywood bigwigs who vote don’t always see eye-t0-eye with the people who watch the movies. Research shows that the majority of people with smartphones or tablets use them while watching TV. I strongly believe that Social TV or coviewing is here to stay (and I’m working on this! ), so here you’ve got the list of moviegoers’ best apps: Viggie, Intonow, Getglue, Miso, MediaFandom and UMaMi. Sunday night’s awards cap off a sequence of big events – from the Super Bowl to the Grammys – with which the likes of Shazam, Miso, GetGlue and others have tried to establish themselves as the go-to companion to your television experience. This entry was posted in Coviewing, Digital life, Digital media, Marketing, Media, Movie, News, Social initiatives, Social Life, Social marketing, Social Media, Social network, Social news, Social survey, Social TV, Uncategorized and tagged Academy Awards 2012, coviewing, Oscar, Oscar 2012, Social network, Social TV. Bookmark the permalink.